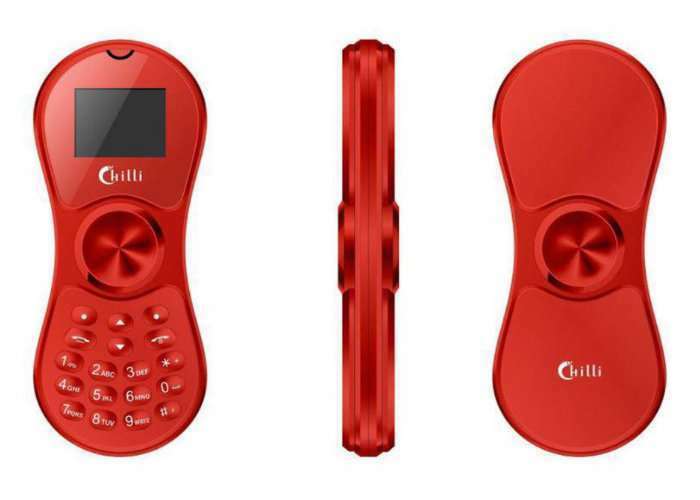 It had to happen sooner rather than later, and now Chilli International based in Hong Kong has created a fidget spinner mobile phone which provides the best of both worlds. Now that the popularity of the fidget spinner has waned a little since its enormous popularity earlier in the year, this mobile phone fidget spinner may be able to stir excitement once again for those that are looking for the ultimate fidget spinner. The mobile phone fidget spinner is available in six different colours and is equipped with a tiny 1.4-inch screen and includes 32 MB of internal memory which can be expanded thanks to its included SD card slot up to 8 GB. As you can imagine the phone is very basic and nothing compared to your latest generation smartphones. So if you are looking to load applications or surf the web, this is not the mobile phone for you. The Chilli fidget sinner mobile phone is now available in India priced at $20 although you can also purchase it from the likes of eBay and Amazon in other countries if you search hard enough.